Half the world’s economy is controlled by 8 Individuals. A year ago Oxfam, a poverty-fighting organization came out with a report stating that 62 individuals controlled half the world’s wealth. This year, that number dropped to 8. Oxfam presented its findings on the eve of the World Economic Forum. 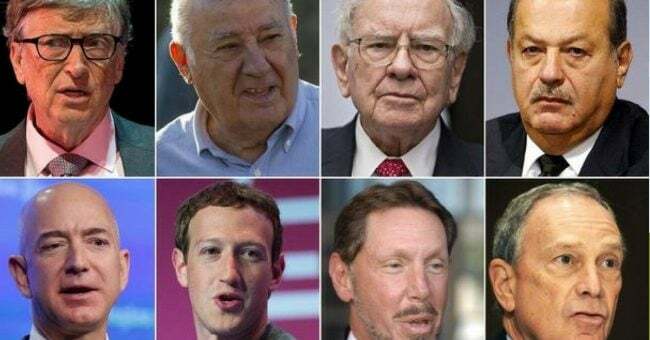 Now consider something remarkable: six of the eight individuals are American, and four of the eight (half the list) come from the American tech community — Gates, Bezos, Zuckerberg, and Ellison. It’s also interesting to consider that four of the arguably most powerful people on the planet weren’t elected, and some of them work actively to fight poverty and injustice.